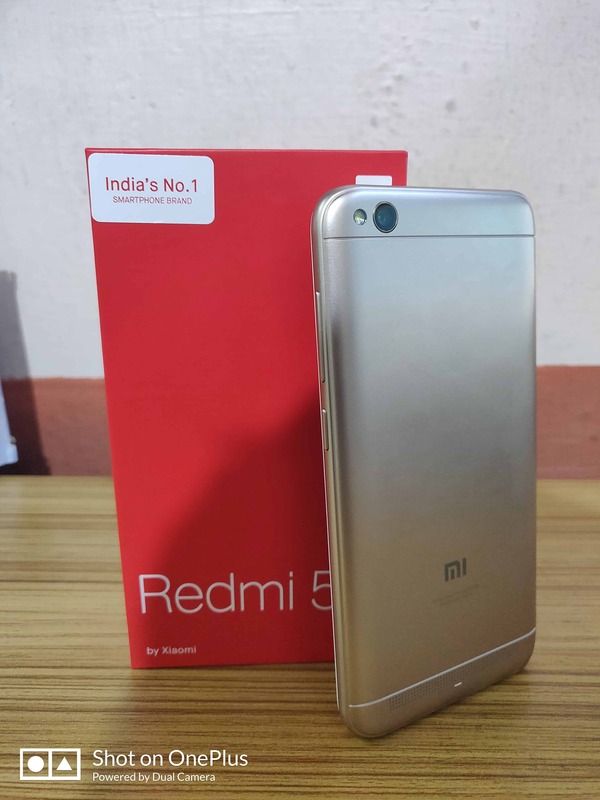 This article about the unboxing of a colorful package of Xiaomi Redmi 5A, let’s see whats the package contains, it contains a Redmi 5A handset, Adaptor, USB cable, SIM ejector tool, User guide, & a warranty card, this package is Gold color variant it also has Dark grey, rose gold, Blue color variant. This is 3 gigabyte of RAM & 32 Giga byte of internal storage, comes with the price of Rs.7400 approx. it also has 2 gigabyte of RAM & 16 gigabyte of internal storage variant with price of Rs.5999 approx. , and here also mentioned about some specification ,an 5inch HD display, 13MP rear camera, Dedicated micro SD slot up to 256GB, powered by snapdragon 425 quad-core processor chipset, thin lightweight body, 3000mAh lithium-ion polymer non removable battery, and it works on custom android Nougat OS version. This handset is a gold color variant, then a bunch of guides, warranty cards, a normal charger, USB cable, ok let keep this thing by side, now this handset is entry level device for budget segment smartphone, it has an aluminum body design with a 5 inch 720p HD LCD screen supporting a resolution of 1280*720 pixels. Then comes to physical overview, in the top it has 3.5mm audio jack, an IR blaster, in the back an 13Mp rear camera with f2.2 apertures size & a rear LED flash also provided & a speaker, in bottom micro USB port, noise cancelation microphone and in the left side it has two slots, one Nano sim card & SD card up to 256Gb and the another slot for second Nano sim card support and in front a 5-megapixel shooter has equipped by Xiaomi. This device is powered by 1.4Ghz of snapdragon 425 quad core processor chipset and it works on Android 7.1.2 Nougat version based on MI UI 9 customized operating system. The Redmi 5A has no fingerprint scanner, and supports connectivity features like Wi-Fi, Bluetooth, Infrared, GPS, and 4G LTE. 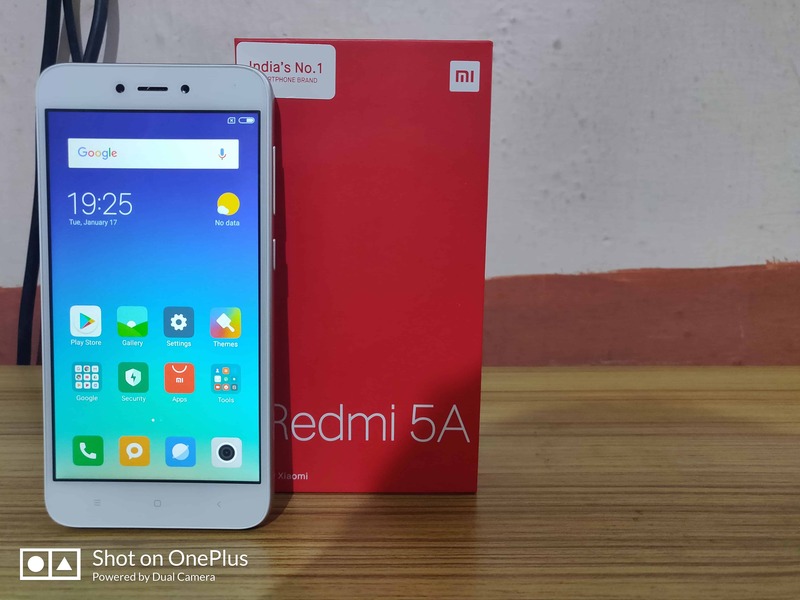 That’s all about unboxing & overview of Redmi 5A smartphone, do comment you wish about this smartphone.